For the past few days, I’ve been rough turning some salad bowls. I’ll be finishing off my supply of hickory with these bowls. Maybe now I can tackle the rest of my lumber pile before I acquire as much Box Elder as I can handle in March!!! 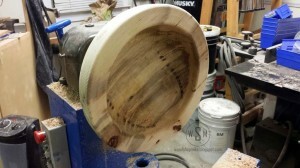 So, to the point of this post… My process for roughing turning a bowl and what to do when you see splits in the wood. 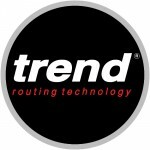 Admittedly, this post is geared more towards those new to turning. I’ll go through my steps to rough out a salad bowl. The best part is that I remembered to take pictures this time! I started off with some bowl blanks that I had cut back in December. I didn’t think it would take me until now to get them on the lathe, but that’s beside the point. What you want to always be mindful of is splitting or cracks that have developed in your piece. I noticed a few on the end grain of some pieces I roughed out, but they didn’t look bad enough to keep me from using the blanks. No, this post does not end with me reporting that I went to the ER or that anything blew apart on the lathe. Lots of people will tell you to never ever put a piece of wood on the lathe that has any checking in it. Well, if you’re turning green wood and have the shop schedule that I do, you would be throwing away every other block of wood you came across. Use your best judgement and if you have hesitancy then move on to the next block in your stash. I’ll be mounting this piece to the lathe with a faceplate for initial roughing. I could use my beefy #3 MT spur drive, but I find that once the piece gets around 50 pounds I have trouble holding the blank still until I bring up the tailstock. Maybe I need to hit the gym? Anyways, back to the faceplate. 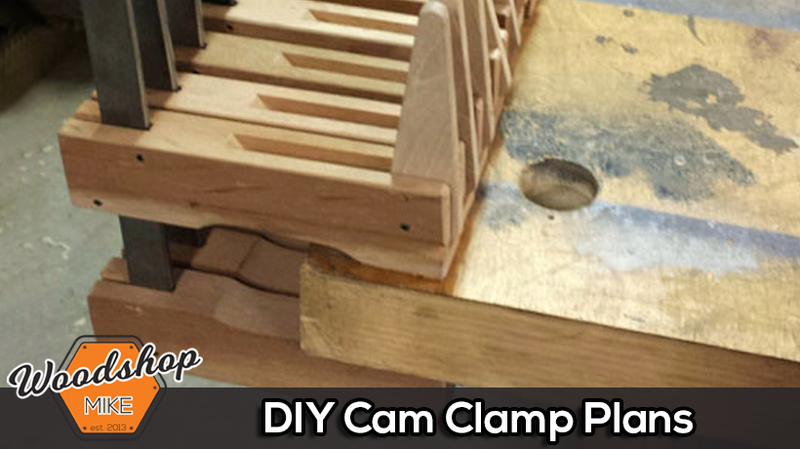 Be sure to use good screws for mounting the piece to a faceplate. You really aren’t going to do yourself any favors by using drywall screws as these are very brittle and could shear apart from the forces present while turning. I like to use #10 sheet metal screws which are heavier in cross section. More important than a specific screw size is selecting a screw that will adequately fill the screw holes in a faceplate. You don’t want a screw has large amounts of slop in the screw hole. Also, I don’t usually bother predrilling my holes for attaching a faceplate. Now the next step you probably guessed is to thread the faceplate onto the spindle. 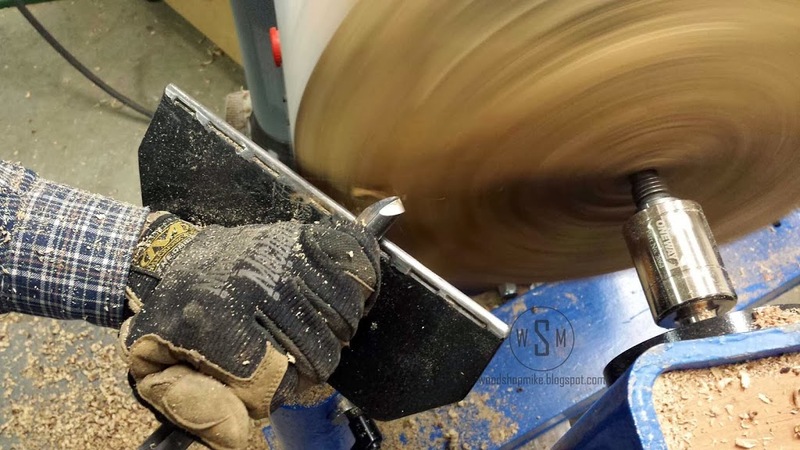 I like to hold the piece on the lathe with my right hand/arm and turn the spindle with my left hand. I would not advise having the lathe under power for this step because one could easily cross thread the faceplate and potentially ruin the spindle threads. 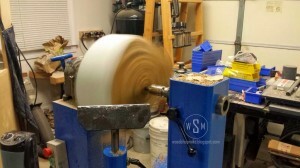 For a blank this size, about Ø 16″ I run the lathe between 300 & 450 RPM. The determining factor is vibration. Basically if you think the machine is going to relocate itself, then slow it down. A slight shaking is ok, but you don’t want the thing bouncing up and down. I begin roughing the blank by setting the tool rest at 45° to the work piece and work from the tailstock toward the headstock. I cut away at the corner first and gradually cut more and more to create the desired shape. While roughing, I use a 5/8 bowl gouge with the flute rolled 45° facing the direction of cut and the tool handle level. By holding the handle against my body, I use less arm strength and do not fatigue quickly. The first picture gives a good view of the flute position and the second shows the shavings flying off of the tool. I continue to rough out the blank and occasionally stop to check my progress, take a sip of water/coffee, and sharpen my tool. The bowl is coming along nicely. The grain from this hickory log continues to captivate my interest. 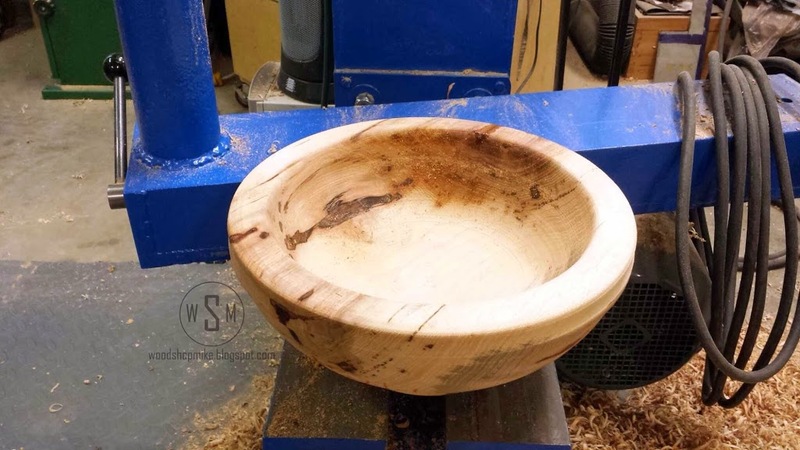 Since these bowls are just being roughed out, I will not spend the extra time to clean up any torn grain until the bowls are seasoned and finished being turned. Now I’m ready to put this blank into the chuck and hollow out the inside. One last thing to check before removing the bowl is to verify the spigot is the proper size and profile to allow the bowl to sit flat against the top of the jaws. Done? Sometimes removing the faceplate from the spindle can be tricky. My faceplates have a hole drilled in the side of them to assist with removing them from the lathe with a tommy bar. 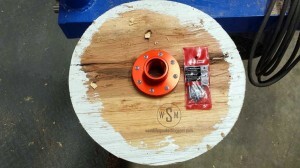 I lock the spindle and use a bar to break the faceplate free from the spindle. I now put the chuck on the lathe and remove the faceplate from the blank. Open the jaws so that the spigot on the bottom of the bowl will easily fit inside of the jaws and sit flat against the top of the jaws. I tighten the chuck enough to hold the bowl and then bring the tailstock up close and lock it into place. Then, I loosen the chuck slightly and advance and lock the quill to push the blank evenly against the jaws. Don’t forget to tighten the chuck! This blank had a split starting from the pith of the tree. I was a bit too greedy when splitting the log and did not remove enough of the pith to prevent checking in this blank. As a result I had to reduce the height of the bowl until the crack was removed. 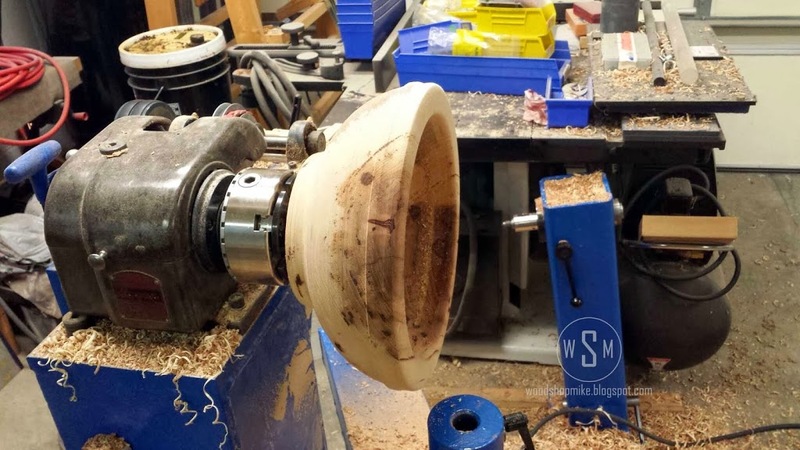 I hollow a bowl using two cutting movements. One is more aggressive and a bit more likely to pull the bowl out of the chuck. The other is good for refining the inside shape and directs the cutting force towards the headstock, which reduces the likelihood of forcing the bowl out of the chuck. With either cutting method, the tool should be held level on the tool rest and lined up on center of the bowl. Adjust the tool rest if necessary. 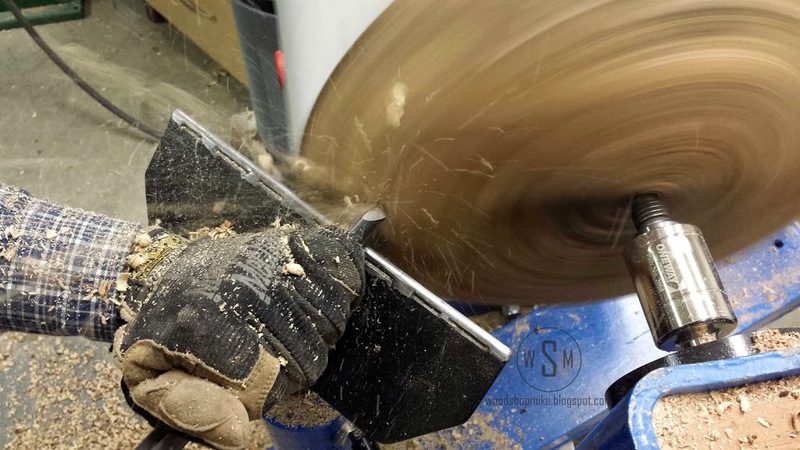 The more aggressive cut starts from the middle of the bowl with the flute at 45° to the left (if standing facing the headstock) and the tool angled about 30° across the tool rest. Begin by pushing into the center and slowly pulling the tool across the inside of the bowl. 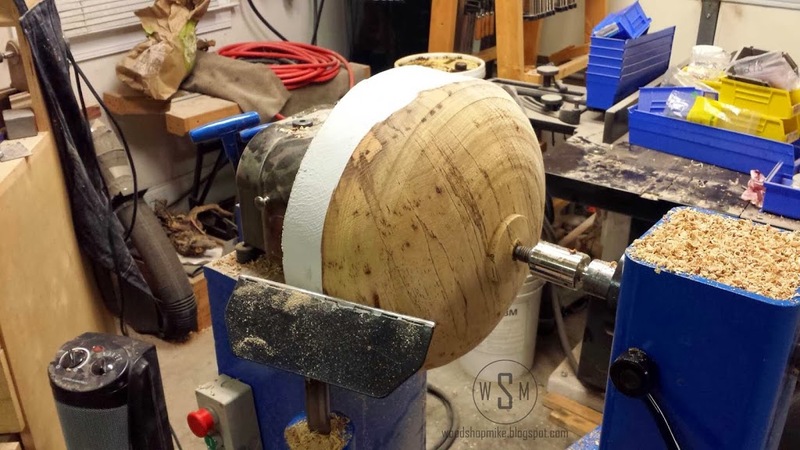 I generally use this cut to begin hollowing a bowl with the tailstock engaged and do not use it much to shape the walls of the bowl until the tailstock is removed. This cut can be grabby and self feed, so this cut can be a little thrilling if you’re not paying attention. The other cut I use starts at the rim of the bowl. 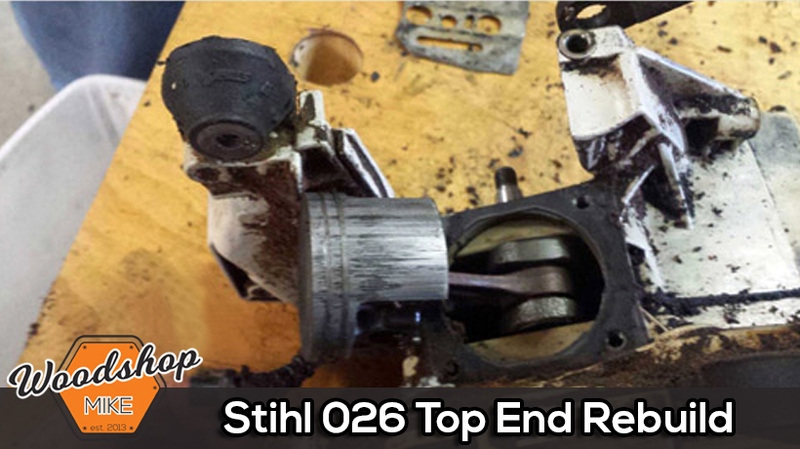 This cut requires a greater range of motion and is much easier to do with the tailstock removed. There are two variations of this cut. One variant is to have the flute rolled 45° to the right and starting at the rim of the bowl with the tool about 30° to the top plane of the bowl (handle still level) begin cutting and swing the tool handle proportionately as the tip of the gouge cuts the wood. This is a good cut for removing moderate amounts of material. 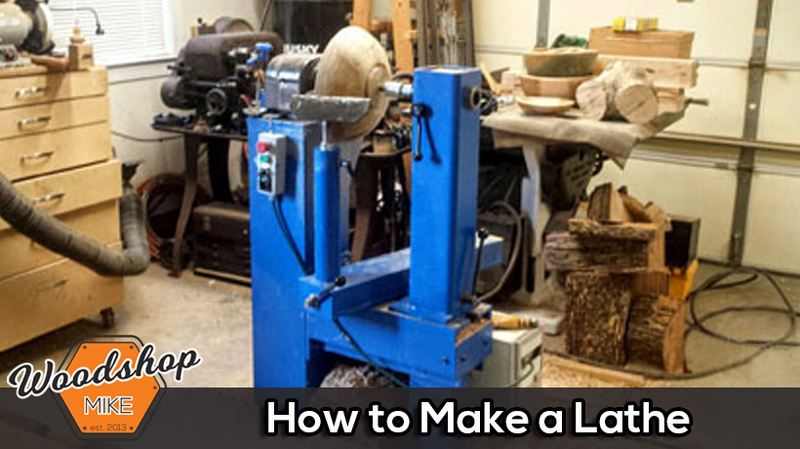 I find it easiest to perform while standing at the end of the lathe and shifting my weight from right to left. The second variant of cut starting at the rim I only use for light material removal and finish paces. This is a bevel rubbing cut that produces a superior surface finish compared to the first two hollowing cuts I described. This cut can skate upon initialization, which can leave a nice dig in on a cut rim bowl or blow out a natural edge piece. If this proves to be a problem, then cut in about 1/4″ using the previous cut described. Now with a shoulder for the bevel to be supported on, present the tool at about 20° to the top plane of the bowl (handle still level). With the bevel rubbing, you will begin to produce shavings as you advance the tool through the cut. 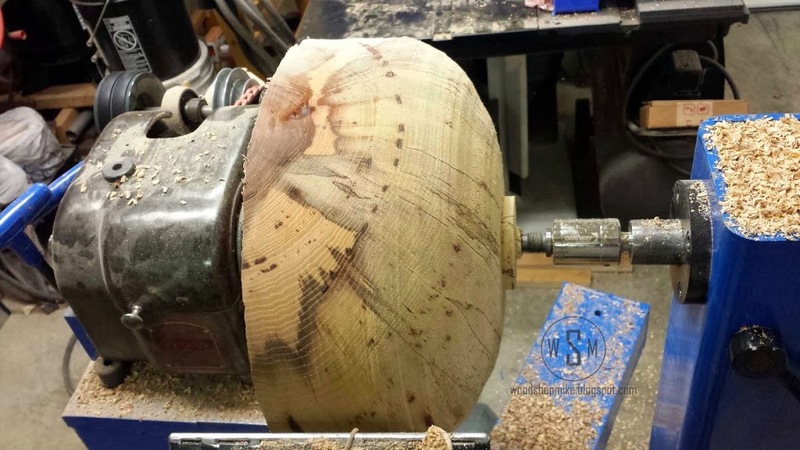 In the photos below, you can see a great example of a split that must be removed before this bowl is finished with rough turning. 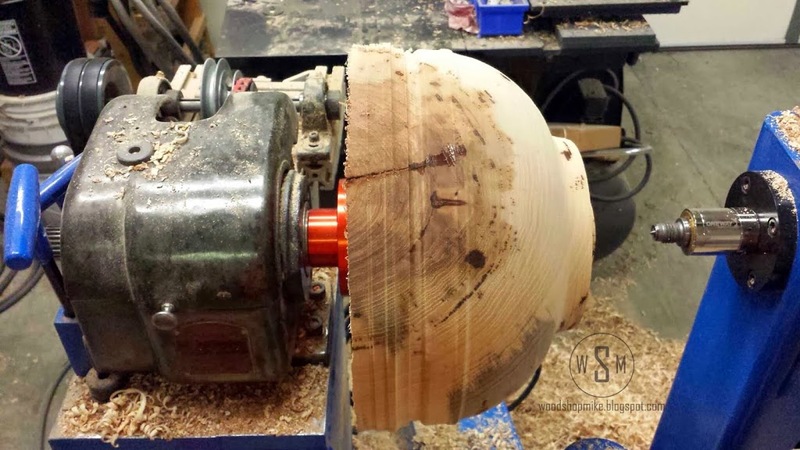 If this split was left in the piece, it would continue to propagate and could severely reduce the likelihood of having a bowl worth finish turning once the piece was dry. On this particular bowl, I turned away all of the excess. While that wouldn’t be a big deal for softer woods, it can be time consuming on a timber like hickory. I had a similar split in another blank of hickory that I removed with the chainsaw in less than a minute! I wish I had a picture of that, but I fear that when my wife saw me grinning with the chainsaw next to the lathe it would have been all over. 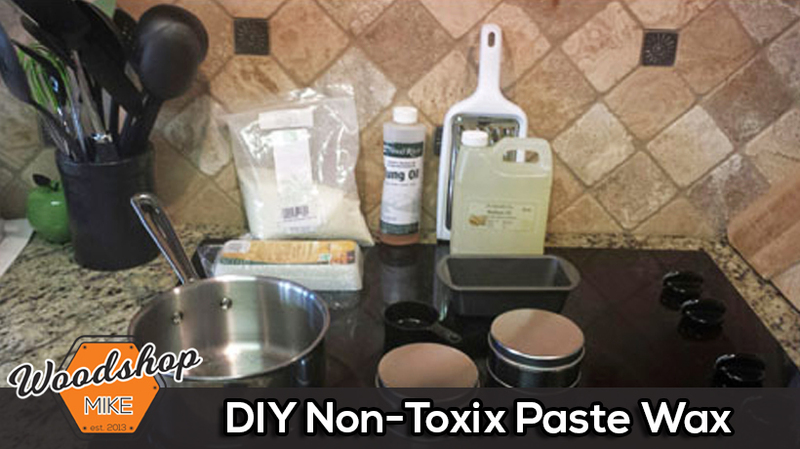 Hey, it sure beat the heck out of a pile of shavings. AND…… I was able to get two blanks from the cut off for some small plates! Win Win Win! 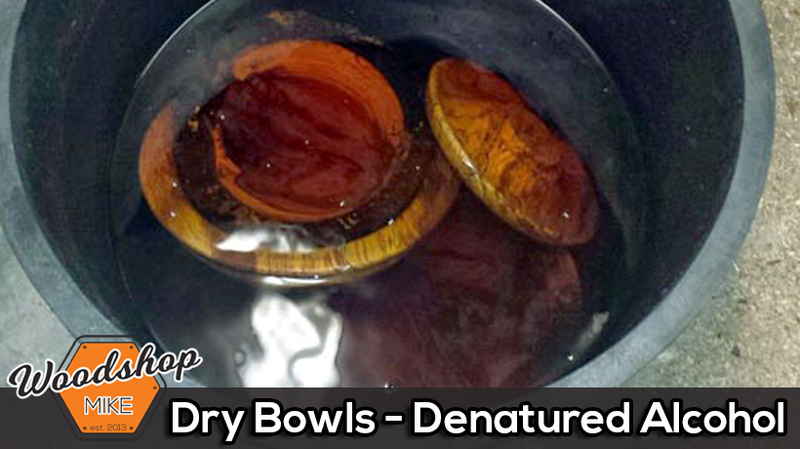 These bowls are tossed in a tub of denatured alcohol for 24 hours – until I remember to take them out. They then drip dry and are wrapped with brown paper or news print on the outside. The paper wraps around the rim and leaves the inside of the bowl open.